WJRO represents world Jewry in pursuing claims for the recovery of Jewish properties in Europe (outside of Germany and Austria). WJRO was established by leading world Jewish organizations to address the restitution of Jewish property and to remind the world that the time has come to redress the enormous material wrongs caused to European Jewry during the Holocaust. Poland is the only major country in the former Soviet bloc that has taken no action to return private property confiscated by the Nazis or nationalized by the Communist regime. About 3,500,000 Jews lived in Poland prior to the war; about 10,000 currently reside there. Poland has no law for the restitution of confiscated private property located within its current borders. Since becoming a democracy in 1989, a number of bills have been proposed in Poland to deal with the restitution of, or compensation for, private property seized by the Nazis and/or later nationalized by the Communist regime – none became law. Poland stands alone as the only major country in the former Soviet bloc, and member state of the European Union, without such a law. barrier to elderly survivors and their heirs. without any serious effort by the government to provide even a semblance of justice. The Law on the Relationship Between the State and Jewish Communities (1997) (“Jewish Communities Law”) governs the restitution of Jewish communal properties. The properties covered – including cemeteries, synagogues and buildings serving religious, educational, cultural and social purposes – belonged to Jewish religious groups and were seized beginning September 1, 1939, by German occupying forces. Poland also passed legislation establishing five regulatory commissions to address the restitution claims of various religious communities. The Polish Government Commission on the Restitution of Jewish Property consists of an equal number of members from the Polish State Treasury and the Union of Jewish Communities and is responsible for processing the communal property restitution claims for the Jewish communities. 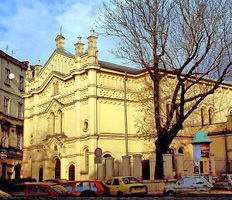 In 2000, the Jewish communities of Poland (represented by the Union of Religious Jewish Communities – “JRCP”), together with the WJRO, established the Foundation for the Preservation of Jewish Heritage. By agreement, Poland was divided into a number of jurisdictions in which formerly Jewish-owned communal property had been confiscated. In each of the jurisdictions, the Foundation or one of nine designated Jewish communities was given the responsibility for the restitution process and Jewish heritage preservation. In the period 1997 – 2000, the JRCP and the nine Jewish communities submitted claims for the confiscated, formerly Jewish, communal property in their jurisdictions. Over fifteen years after the claim filing deadline, a majority of claims has still not been resolved and most of the resolved claims have not led to restitution or compensation. The Foundation is responsible for approximately 3,500 claims (including 600 for cemeteries) submitted by the claims deadline, while the other Jewish communities submitted another 2,000 claims (including several hundred for cemeteries). As of December 31, 2015, of the total of 5,504 authorized claims filed by all Jewish communities, the pertinent Regulatory Commission had adjudicated (entirely or partially) only 2,645 claims. Further, of the claims that have been adjudicated (in full or in part), fewer than half were positive decisions or settled by agreement, which led to the return of the contested property or related compensation. Once properties are returned, Polish law imposes significant burdens on the Jewish communities. A substantial portion of the Regulatory Commission’s positive decisions, resulting in the return of actual property, has consisted of cemeteries and synagogues. Generally speaking, these represent the less valuable properties claimed and are almost always in serious disrepair when transferred. Moreover, decisions involving the return of such properties have placed the recipient Jewish community in “Catch 22” dilemmas. Polish law requires a property owner – under threat of penalty – to maintain and preserve the property. The cemeteries and synagogues restituted to the Jewish communities almost always require extensive and expensive work, because they were not maintained over the years, were permitted to deteriorate, and often were desecrated while in the possession of the government or other parties. Nonetheless, the government, after returning such dilapidated, untended properties, requires the Foundation or communities immediately to repair the property and bear the onerous costs of improvement and upkeep. Poland has no law for the restitution of confiscated, heirless property. The Terezin Declaration notes that “heirless property could serve as a basis for addressing the material necessities of needy Holocaust (Shoah) survivors.” In light of the destruction of the Polish Jewish community during the Second World War, many families were entirely destroyed, leaving no heirs. The property formerly owned by such Jewish families should be used, in part, to meet the growing and urgent needs of the living victims of the Holocaust. 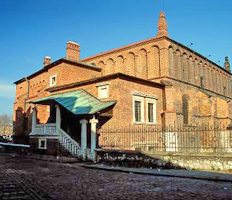 For more information about the Foundation for the Preservation of Jewish Heritage in Poland, click here. I consent to WJRO collecting my details through this form.